This creamy smoothie is a great on-the-go breakfast. Not only that, it’s a great way to get calcium and two servings of fruit in a jiffy. If you prefer a tarter drink, use plain yogurt. For a slightly sweeter drink, add a teaspoon or so of honey or use vanilla yogurt. 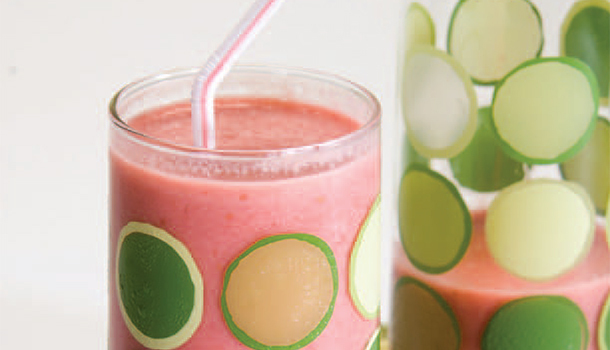 In a blender, combine raspberries, peaches, yogurt, and juice. Process until smooth.